Making sure that fans of the game understood that the gift bag received in-game for Divinity Original Sin 2 is far from a loot box. Describing loot boxes as “hard and ostensibly containing loot” while “gift bags are soft and contain gifts”. 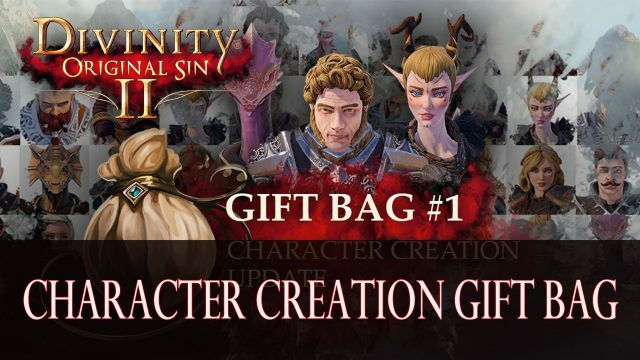 These “Gift Bags” were released by Larian containing a new set of customisation options such as facial features, entirely new faces and hairstyles that you can use in your campaign. You can also use the new additions by heading to the Magic Mirror located aboard the Lady Vengeance to respec your current character. There is also a plan to release a second gift bag during this year, no specified release date has been announced but the developer has stated it will contain more customisation options that have been “inspired by our modding community”. The new content is now being created alongside two other European developers Fools Theory and Anshar Studios. The gift bag arrived with the latest update which included some bug fixes and support for the MacOS. To read more about this new find it here in Divinity Original Sin 2 Releases Free Content In-Game Gift Bag. Developer Zen Studios releases a new story trailer and release date for their first-person dungeon RPG Operencia: The Stolen Sun set to launch via the Epic games Store this March. 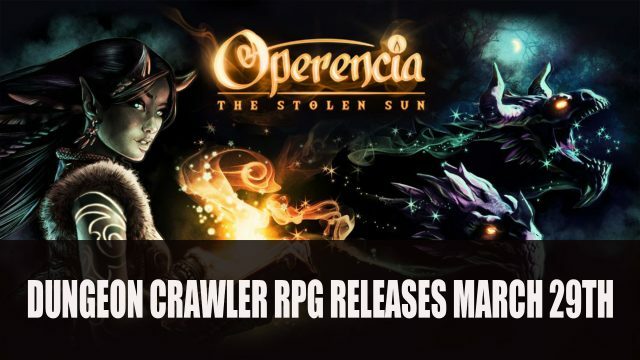 To read more about this new find it here in Operencia: The Stolen Sun Dungeon Crawler RPG Releases March 29th. Gearing up to the release of Sekiro: Shadows Die Twice, FromSoftware’s latest IP, they share a launch trailer showing off the combat, storyline and more. The developer FromSoftware are counting down to the release of their Shinobi inspired action game Sekiro: Shadows Die Twice. In the run up to its release, they have been sharing trailers highlighting some of the deadly bosses as well as enemies that players will face. These trailers have included the ferocious Great Serpent, The Chained Ogre, Lady Butterfly and General Tenzen Yamauchi. Now they have released the launch trailer that stylishly puts together combat, finishers and a peek at the storyline. Not only seeing new foes and their environments, but also a glimpse of Sekiro’s master The Prince, the one he must protect at all costs. It even features the “One-armed Wolf” appearing to die after a final blow, but is resurrected, depicting the tag line “rise from every fall”. 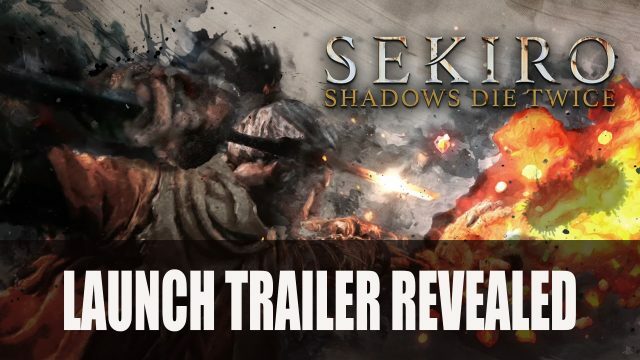 To read more about this new find it here in FromSoftware Release Launch Trailer For Sekiro Shadows Die Twice. Players will be able to take part in this repeatable, limited-time event quest, available for one week from March 19th until March 26th. Setting up for this monumental occasion will require various tasks. Completing these party tasks will allow the Protectrons to march in the parade. However, all this fuss may attract the wrong attention, there may be a few ready to crash the party. You will need to protect the marchers as they set out on their parade route, and successfully set ablaze Old Man Winter. Players will gain some loot and earn a festive Fasnacht mask for their very own. There are many masks to gain and are can be traded. 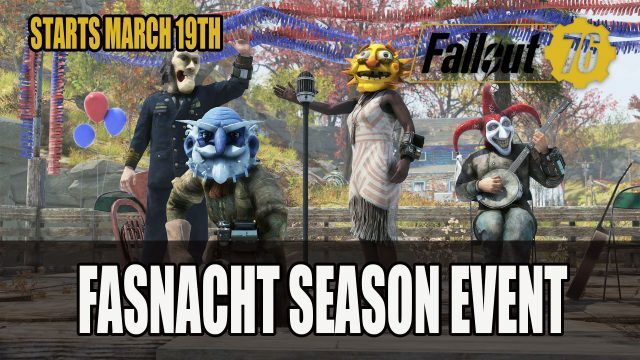 To read more about this new find it here in Fallout 76’S Fasnacht Season Event Starts March 19th. Playstation fans have been awaiting the release of Path of Exile on PS4, with the launch delayed from the end of last year, we finally get the launch date. Alongside the release of Path of Exile on PS4 comes the latest expansion which recently released on other platforms, Synthesis. Both will be launching on Playstation 4 on March 26th. The delay previously was talked about by the developer Grinding Gear Games, as they expressed their intent to provide a positive experience on the new platform. Path of Exile is a free-to-play online action-RPG set in the dark fantasy world of Wraeclast, a harsh continent that has seen many mysterious catastrophes shaped by the past. Players are given a choice of various abilities using a skill gem system, granting different abilities when combined with equipment. Each class has an extensive passive skill tree. The Synthesis expansion brings a new challenge league, new items, gems, a rebalance of spells as well as an integrated version of the Betrayal league. 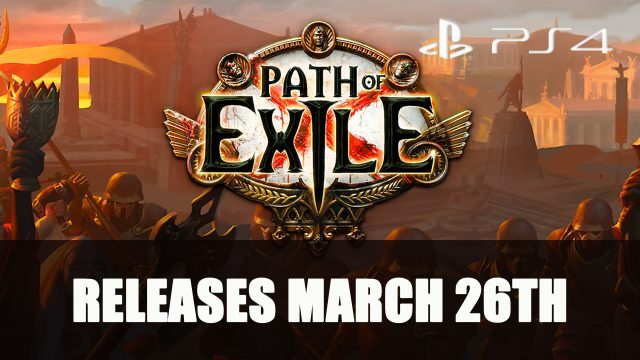 Path of Exile is available to play on PC and Xbox One, with the Playstation 4 version releasing on March 26th 2019. To read more about this new find it here in Path Of Exile PS4 Release Launches On March 26th. 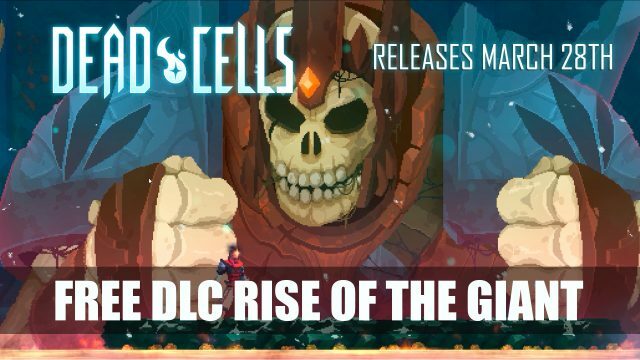 At the end of last month, Dead Cells developer Motion Twin was featured in a behind the scenes video that shared that a free DLC called Rise of the Giant would be releasing for PC. The developer now announces the launch date. The Dead Cells DLC update called Rise of the Giant will be a free addition to the challenging Metroidvania game. It will be available to test through beta on Steam for those who want to experience the new areas, bosses, new skills, weapons as well as the new Skinning system which allows players to adorn new outfits. The developer also confirms that Rise of the Giant DLC will be making its way to console as well, in a recent tweet they explain how they wish to narrow the gap between the PC and console releases. According to the Steam page, Motion Twin are not done adding new content to the game, expressing “we’ll be continuing to make content for the game for as long as you keep demanding it”. To read more about this new find it here in Dead Cells DLC Rise Of The Giant To Release March 28th. 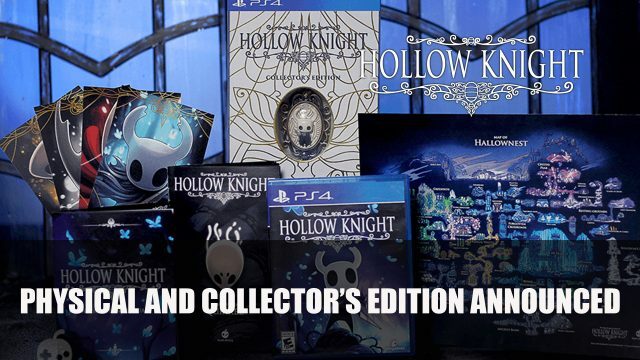 If you’ve been wanting to pick up a physical release of the challenging metroidvania platformer Hollow Knight, you’re in luck as the physical version of the game now comes in a fancy Collector’s Edition as well as a standard edition for Switch, PS4 and PC. You can now pre-order a Fangamer’s standard edition of Hollow Knight which includes all the DLCs released which will either be on cartridge, disc of DRM-free disc with a Steam Key depending on your chosen platform. This version is available for $29 USD on PC and $34 USD for the Switch. Or if you’re after a special edition, you can pre-order the Hollow Knight Collector’s Edition which will set you back $64 on PC and PS4, or $69 USD on the Switch. Not only do you get a nifty box that is decorated with gold-foil details, but a clear printed sleeve and the game of course. You will also receive a 14-page Quirrel comic book, gold-foil art print set as well as a metal brooch and stand featuring your favourite bug fighter, The Knight. If you fancy any of these versions you can pre-order via the Fangamer website, the release will ship on May 31st. To read more about this new find it here in Hollow Knight’s Physical Release Is Back With A Fancy Collector’s Edition. This year’s PAX East will be attended by Gearbox who confirmed they would be going and prepared to show some “never-before-seen reveals”. They now share a tweet that drops clues pointing to a possible Borderlands 3 reveal. 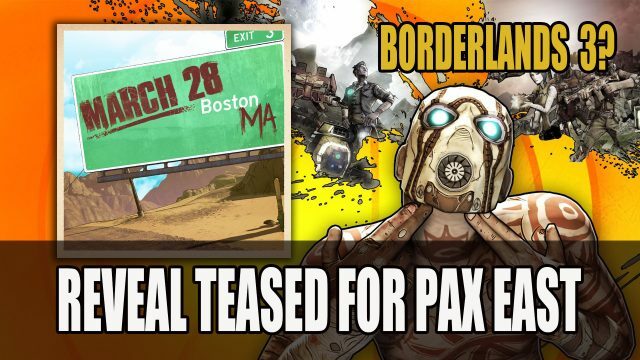 The latest tweet shows a road sign with the date March 28th as well as Boston, which is the same date and location of Gearbox’s panel for PAX East. Not only is the image done in a similar Borderlands artstyle but also has an “Exit” sign with a cut off “3”. There’s not much else to go in this picture, but this could mean they are ready to reveal their third entry in the Borderlands series. This leaves the question of where Borderland 3 will take players now with sci-fi online co-op shooters such as Anthem and Destiny 2. What will the next instalment offer that can help the game differentiate itself, while still holding onto what made their previous games memorable for fans? They could go in the direction of Fallout 76 with survival mode, or the upcoming The Outer Worlds with it’s own unique version of the VATS system. Guess we’ll have to wait for more information and the actual reveal which looks like it will be at PAX East. Be sure to catch the live panel on at PAX East at 2:00pm EST on Thursday 28th March. To read more about this new find it here in Borderlands 3 Reveal Teased For PAX East. The original creator of X-COM Julian Gollop has received some not so positive feedback as the next title becomes an Epic Games store exclusive. The next title created by the X-COM creator Phoenix Point is a turn-based strategy game and gained a crowdfunded backing of $765,948 from 10,000 backers on Fig in June 2017. 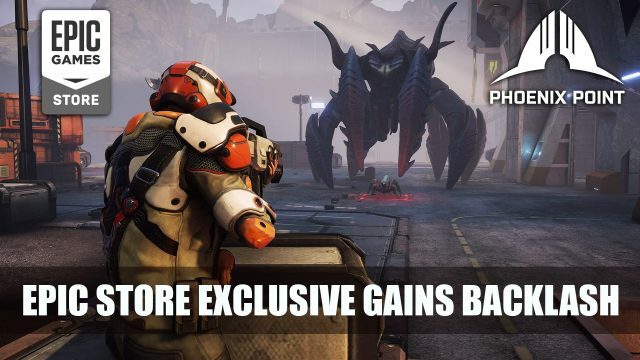 The campaign stated at the time that Phoenix Point would be available on the Steam platform at launch, promising those who helped bring the title to it’s goal, a Steam or GOG key. However, now Phoenix Point has become an exclusive to the Epic Games store for the first year. Backers will still gain a Steam or GOG key after the first year has concluded, in addition to an Epic key. They will also receive all three DLC packs at no cost. Those who may not be happy with this decision can get a refund which has been offered by Gollop. It seems there is quite a few unsatisfied backers who have voiced their opinions through the subreddit and social media, expressing their disappointment over this decision. Gollop explained in a reddit AMA, that he was the one who had started talks with Epic about signing a deal and the stability that it would bring the title. What do you feel about platform exclusive launches? Let us know in the comments below. To read more about this new find it here in X-COM Creator Receives Backlash From Backers As It Becomes An Epic Games Store Exclusive.